Is Craft Beer Approaching a Bubble? Beverage Wholesaler - October 1, 2018 To view this email as a web page, click here. While craft beer continues to sell well, there are potential signs of trouble ahead. Growth has slowed. After posting years of double-digit sales gains, the category has recently settled into a pattern of single-digit increases. In 2017 craft beer was up 4.9%, according to the Beverage Insights and Information Group. This year the category has been “stable” with 5% mid-fiscal year growth, according to the Brewers Association. 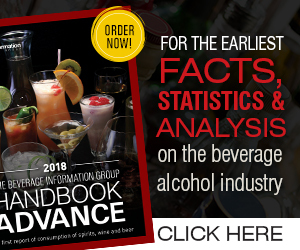 “There are certainly industry headwinds, but this stabilized growth rate is reflective of the market realities that exist for brewers today,” says Bart Watson, chief economist, Brewers Association. Keeping up with the changes in American whiskey is a full-time job. Just ask retailers, with customers lining up for limited-time offerings of rare releases, new line extensions and brands, vintage offerings and the latest batches from small distillers. not on whether I’m male or female." Requirements: The Customer Development Manager provides Insights & Analytics support to our retail customers, suppliers and account teams and will assist in identifying opportunities and making recommendations that deliver category and customer growth.